The Obama Conspiracy Theories blog started in December of 2008 and continued during the 8 years President Obama was in office. It began with the purpose of collecting and critically examining some of the stories about Obama circulating on the Internet, never anticipating that the so-called Birther Movement would be alive eight years later in tabloids, blogs, commentary, YouTube video channels, and would even become an issue in the 2016 presidential campaign. This blog drew an eclectic online community, and at its height had over 30,000 users per month who left over a quarter million comments. 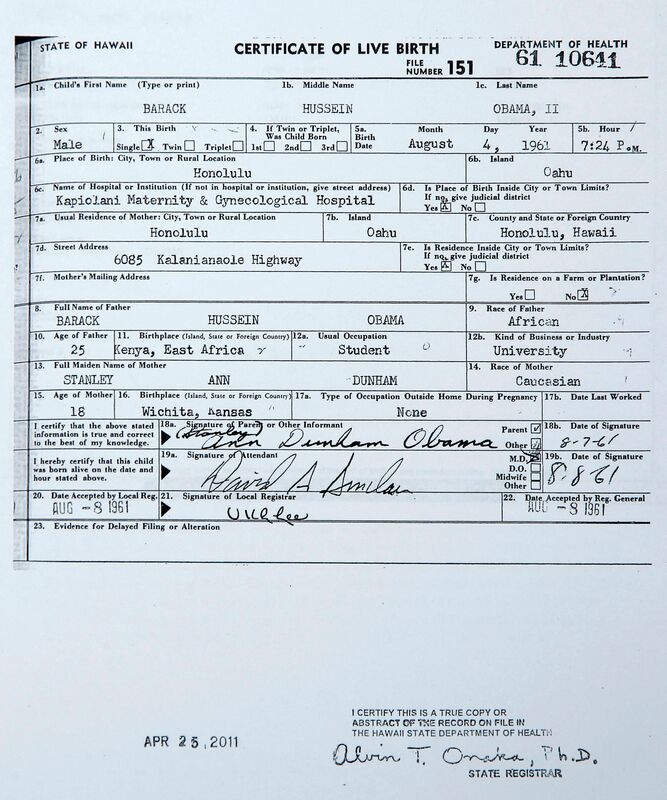 A few initial articles about Obama’s birth certificate grew in number to 4,223, both about conspiracy theories and a legal theory that denied eligibility to Obama because of his non-US-citizen father. The blog closed to new articles at noon on January 20, 2017, as President Obama left office, but it remains a comprehensive resource on the Birther Movement. For an index to some of the debunking done on this blog, see: “The Debunker’s Guide to Obama Conspiracy Theories.” Here are some favorite articles. Continuing discussion on this site can be found in the Open Thread. Dr. 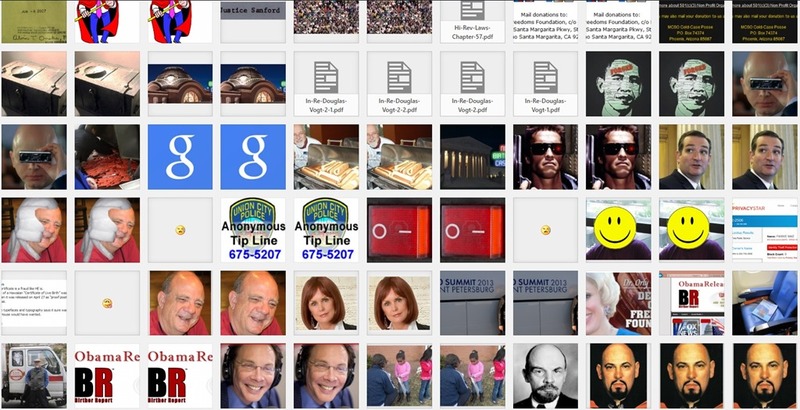 Conspiracy continues to blog as “Kevin” at Blog or Die! Note: Unfortunately some web content is ephemeral. 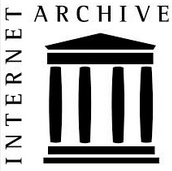 While this site contains extensive hyperlinks to original sources, some of those sources have not stayed the course, particularly court resources and some local newspaper coverage. Replacement of dead hyperlinks is an ongoing project. Barack Obama and I have 8 years to look back on—he looking at the important issues of our time—I looking back on the Birthers. Somehow I think I got the short end of the stick! Some people have the gift of being gracious. I’m not one of them. If you aren’t lifted to the heights by the remarks that follow, just attribute it to my lack of skill, not a lack of feeling. I want to thank a vibrant online community who helped make this blog fun, those who put a face on some of those 30,000 monthly visitors at our blog’s peak, who encouraged me, who caught my mistakes, who contributed ideas for stories, who did significant research, and who kept me honest. I won’t mention individuals because there are simply too many of them. Just look around. I consider you all friends. As for the Birthers, while this blog would be nothing without them, I will not thank them and those who, with whatever motives, incited them. They are a blot on our country’s history and we would all have been better off without their activity. Even so, this blog is its silver lining. I want to thank several bloggers and to recognize their work. 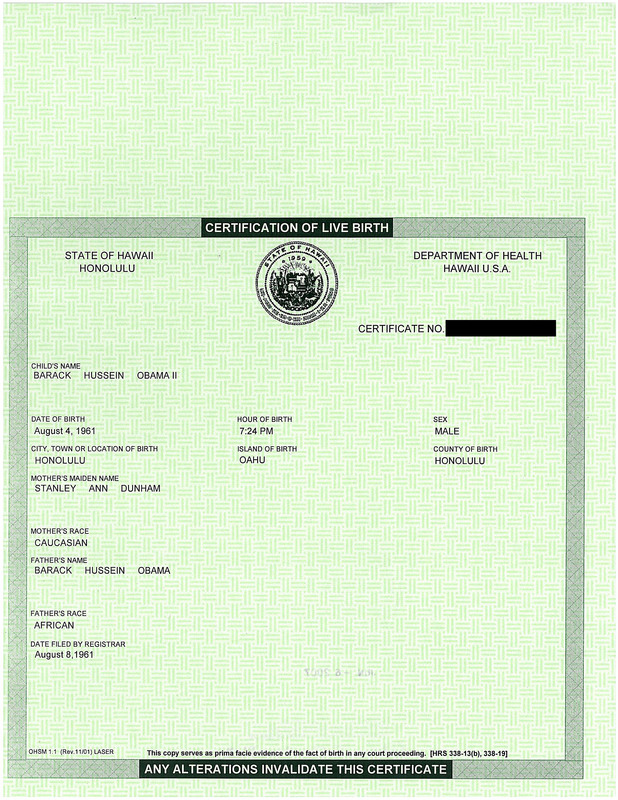 John Woodman did careful and well-documented research both into birther claims about Obama’s birth certificate, but also the legal basis for some of their other ideas. He not only blogged about it, but published a book. Presidential candidate Loren Collins did some fantastic research into lies about the President’s parentage and into the origins of the birthers, making his case like the attorney he is. Loren also has an excellent book entitled Bullspotting: Finding Facts in the Age of Misinformation of considerable value in this age of “fake news.” Reality Check had a wonderful radio show (check out the podcasts) with significant topical guests, and his blog still has interesting new content in these latter days of the Birther Movement. RC’s anonymity stood as testimony to the incompetence of birther investigation, and he researched and popularized the debunking of the Cold Case Posse using a Xerox machine. I want to recognize and thank Tes for her compilation of birther lawsuits and the evidence in the Melendres case, something I think will continue to be a valuable resource in the future. Tes also wrote some early guest articles here. I value having her as a friend. (There are many more bloggers of note.) The anonymous (but not to me) Jack Ryan created and published a massive and invaluable collection of documents concerning the birther lawsuits that I relied upon every week. A special shout out goes to Bill Bryan who more than anyone I think, helped to build the anti-birther community. Bill got folks to show up at events, something the Birthers couldn’t do. Bill was a role model of courage in the face of birther threats and his personal story of triumph over adversity is an inspiration. The Fogbow is the place to be when it comes to combatting right-wing nuttery. I want to acknowledge a few Birthers for being brave enough to put forwards ideas on this blog and say around to defend them the best they could, in particular Jerry Collette, and Bob Gard. I want to acknowledge Bryan Reilly for having the rare gift among Birthers, the ability to look at the facts and change his mind, and it’s certainly a big deal that he chose to publish his articles here. So ultimately, who won? 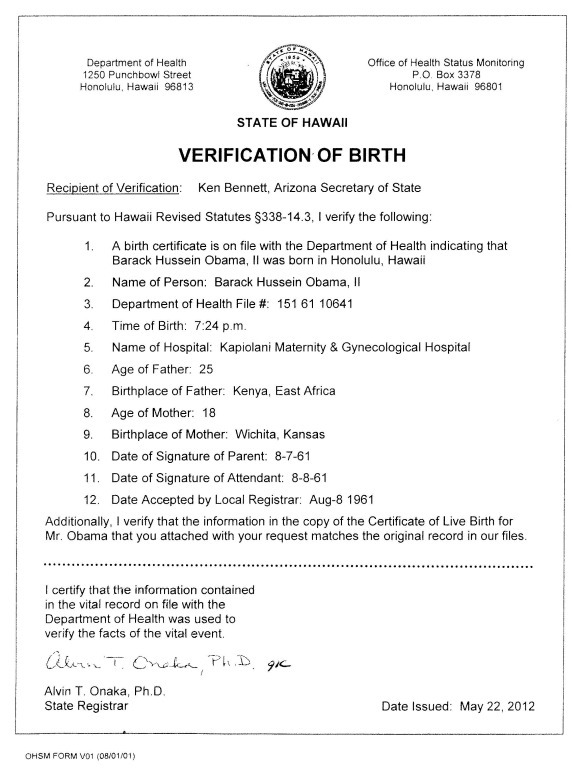 “Birther” is now a term of derision in the English vocabulary. Barack Obama was elected twice and served two full terms. He was not impeached. There were no Congressional investigations of his identity documents. His approval rating upon leaving office is phenomenal. Birthers lost 226 lawsuits. Still, the country took a turn for the crazy over the last 8 years. A turncoat Birther was even elected president. I think it’s too soon to count winners and losers. Thomas Jefferson probably did not say “the price of liberty is eternal vigilance,” but it’s a good idea. I challenge each of you, current readers, or those who come after this blog has long closed down to new articles: stay vigilant, check the facts, know your biases, and don’t tell lies. The truth will set you free. PS: This article is set to auto-publish at noon tomorrow (January 20). At that time I will be presiding over a meeting of my local Civitan club whose motto is “Builders of good citizenship,” where I and our membership will together pledge allegiance to the flag of the United States of America. Never let the fake news crowd claim the mantle of patriotism. There is nothing patriotic about smears and character assassination. Following a statement of his strong commitment to the posse system, new sheriff of Maricopa County Paul Penzone said in a news conference, that he will identify those that do not meet the mission of the organization, and in particular the “Cold Case Posse is disbanded.” Penzone indicated that the member(s) of that group will be notified. I don’t think politically motivated sham investigations outside of its jurisdiction should be the mission of anything associated with law enforcement. Good riddance to bad rubbish. Maricopa County Arizona is definitely a governmental unit and since we are it affiliates again that requirement of filing said form does not apply to us. The Sheriff’s Office is in no way involved in the day to day financial dealings of any posse that works under the authority of the Sheriff. … They conduct their own fundraising and handle their own financial matters completely separate from the Sheriff’s Office. Thanks, Paul, for a nice going-away present. I wish you and the people of Maricopa County the best going forward. I wish I could share the warm feeling I get scrolling through the articles and comments on this blog. 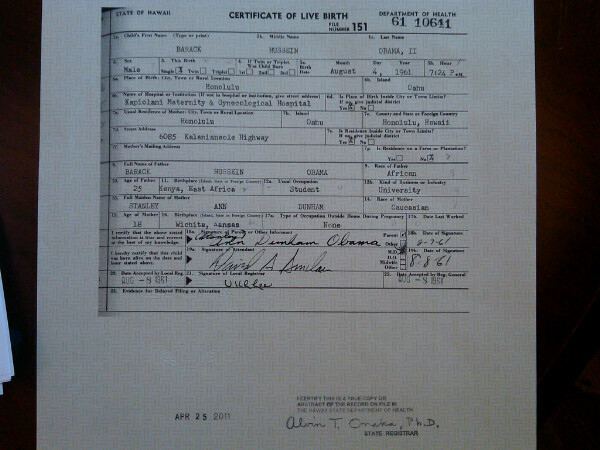 Birthers can be tedious, but I had some really good times, and I tried to make it worthwhile for my visitors too. Regrettably, you readers can’t do that, but I’ve selected a few pages with favorite photos on them and tagged them “fav-photo” so that you can scroll through those pages if you have the interest. There are so many photos that it’s hard to select just a few. Most recently in Zullo’s December 15, 2016, attempt, he seemed to be making a statistical claim, even though his sources were not qualified by Zullo as statisticians, and Zullo’s refusal to disclose the methodology and analysis used confounds peer review. But hang on a second, George, we’re not questioning the legitimacy of the outcome of the election. You didn’t have Republicans questioning whether or not Obama legitimately beat John McCain in 2008. 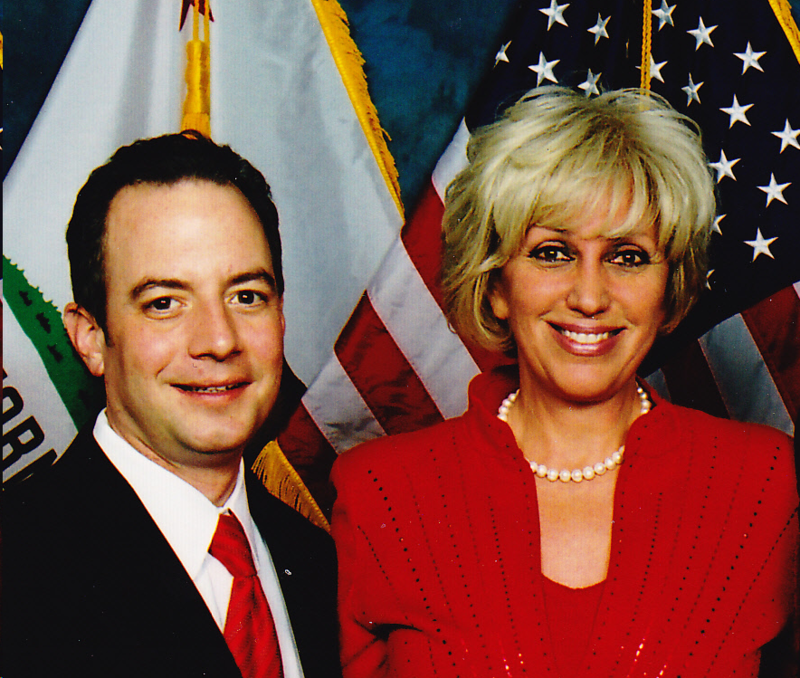 The photo shows Priebus and California Republican senate candidate Orly Taitz who filed a dozen lawsuits challenging Obama’s eligibility.